PENSACOLA, FLA - When reconstruction starts in areas ravaged by Hurricanes Harvey and Irma, sturdy building products will be needed. To support the rebuilding efforts and make impact-resistant products more available to homeowners, Hy-Lite has drastically cut the price of its Storm-Lite privacy windows by more than 40 percent. "We want to make our impact-resistant windows more affordable for anyone replacing or rebuilding after the storms," says Roger Murphy, president of Hy-Lite, a U.S. Block Windows Company. "We're delighted to share that this 4' x 4' window is now being offered at more than a 40 percent price reduction." Based in Pensacola, Fla., the Hy-Lite operations were untouched by the recent storms. "We feel so fortunate that our operations were not affected by Hurricane Irma," says Murphy. "This allows us to keep our facility running and our employees working. Right now our focus is on getting the Storm-Lite windows into inventory so we have enough product available as the rebuilding efforts begin across the country." 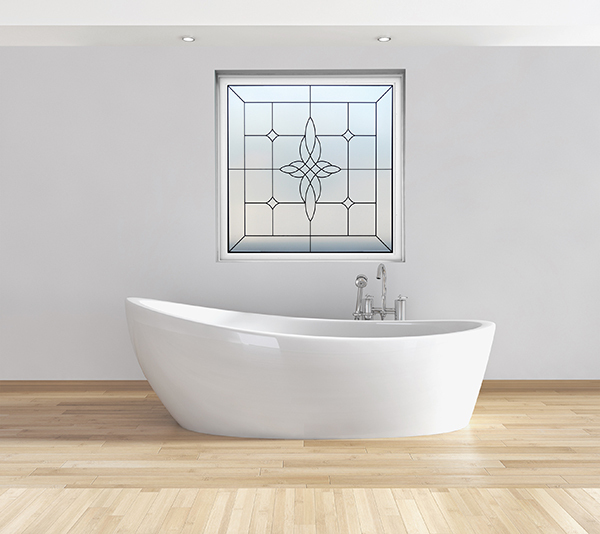 Storm-Lite windows are part of Hy-Lite's popular Bath-Lite® Series. The impact-resistant Storm-Lite silkscreened glass window brings beauty, privacy and security to an elegant window at an affordable price. The 4' x 4' Storm-Lite window comes in one of Hy-Lite's most popular design styles, the Aurora, and is suitable for bathroom, living room and dining area settings. Storm-Lite is certified to AAMA 506-06 specifications for Hurricane Impact and Cycle Testing, and has a Design Pressure Rating of DP50 for winds up to 160 mph in Wind Zone 4. "This durable window features a one-inch insulated unit with an annealed, laminated exterior glass to resist impact from flying debris," says Murphy. "There's also tempered glass on the interior of each unit for enhanced safety, privacy and decorative style." Storm-Lite windows feature heavy-duty vinyl frames in the choice of four designer frame colors of white, tan, driftwood and bronze. "This is a cost-effective option for a privacy window that is more imaginative than simple frosted glass or rain glass," says Murphy. "These windows provide elegance in the home without breaking the budget. They have all the terrific features of decorative glass windows while boasting a value-added price tag."